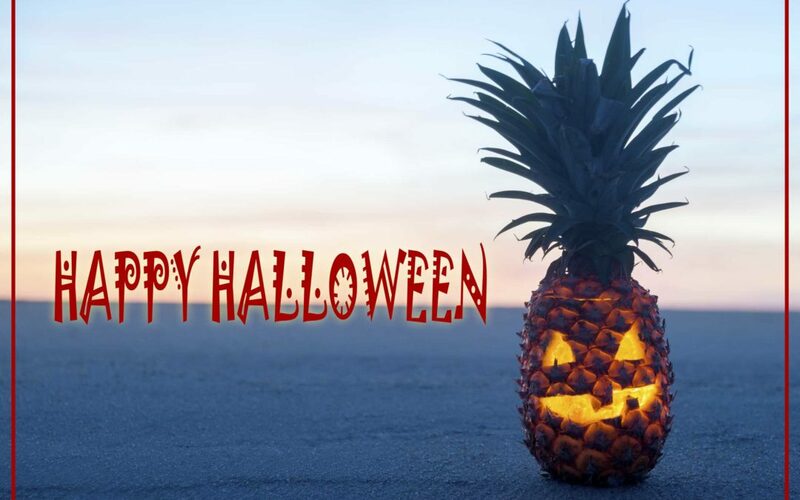 Trick-or-treating around the Islands is a surefire cultural experience (and not just for the keiki). 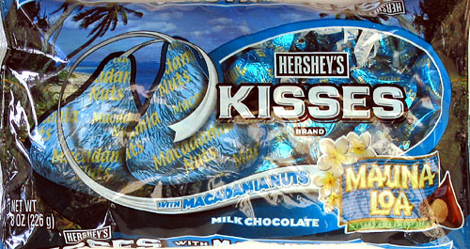 Sure, you’ll find Snickers, M&Ms and Kit-Kats like anywhere else, but there are a handful of candies that will also likely be thrown into the mix. 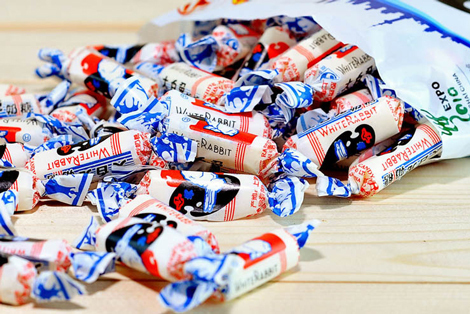 Bring an adventurous sweet tooth on your next vacation and you’ll learn why these are absolute treats. The mainland has Tootsie Rolls. Hawaii has this soft, creamy candy wrapped in sticky rice paper that melts in your mouth. 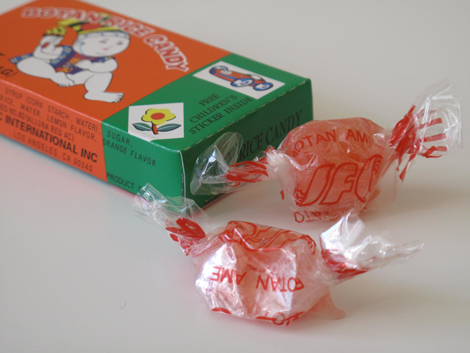 Not those Whistle Pops from the ‘50s—we’re talking about this Japanese version. 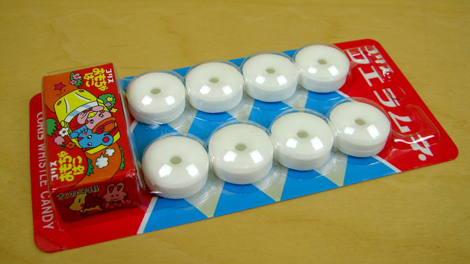 Shaped like a lifesaver, these have the potential to drive every parent insane with the loud whistling. 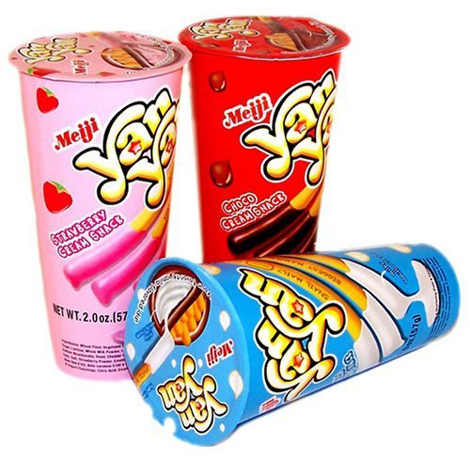 Even President Obama remembers eating these as a kid growing up in Hawaii when he mentioned them in a toast to Shinzo Abe when the Japanese Prime Minister visited Washington D.C. for a state dinner this past April. Whether Botan or Tomoe Ame brand, these are definitely a treat. 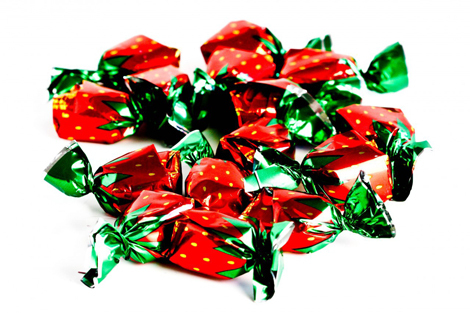 This candy takes its name from the Chinese hawthorn fruit. You eat them flake by flake. 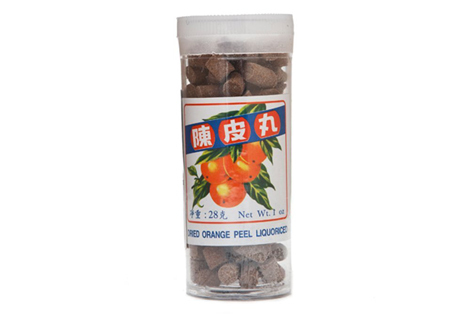 Dried orange peel liquorice in a compact tube that fits perfectly in your pocket. 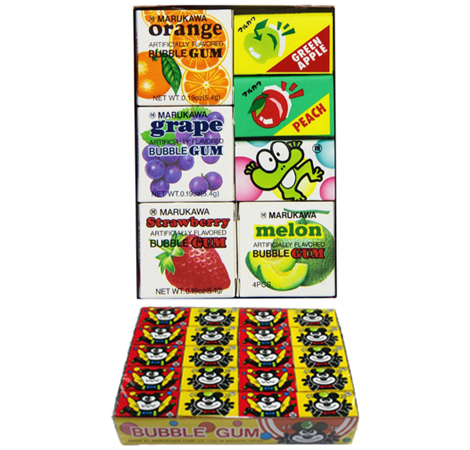 You know you grew up in Hawaii if you actually remember spending recess time trading and bartering with the tattoos that these come with like they were actual currency. 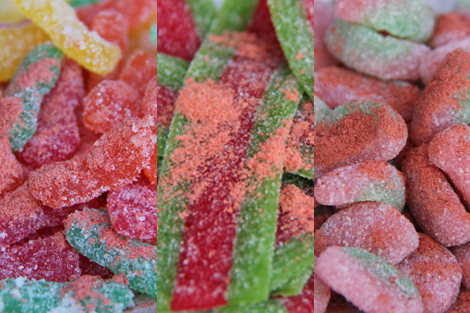 Because the best candies are the ones that take 30 minutes to finish. 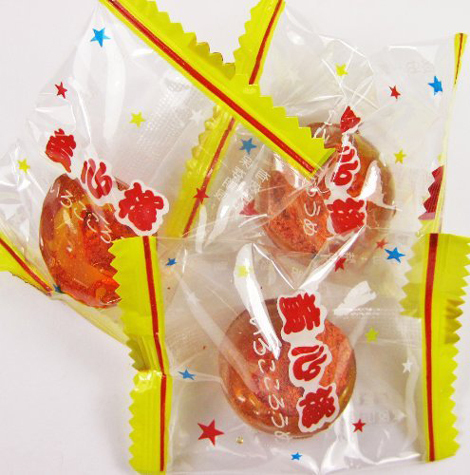 Li hing drops on a stick shaped as a heart or a butterfly or a flower or a bear or a hula dancer. Confectioners can get creative with these things! 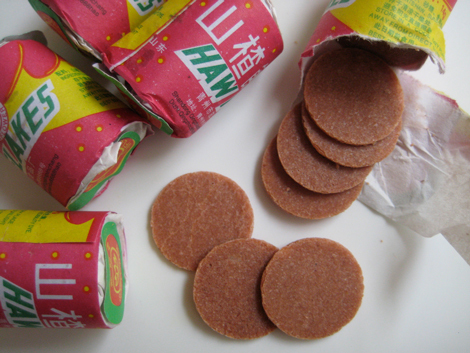 Li hing mui is dried plum with a salty, sweet-and-sour taste—super popular across Hawaii. It’s sold in a powder version that locals sprinkle on everything from pineapple to mochi crunch. 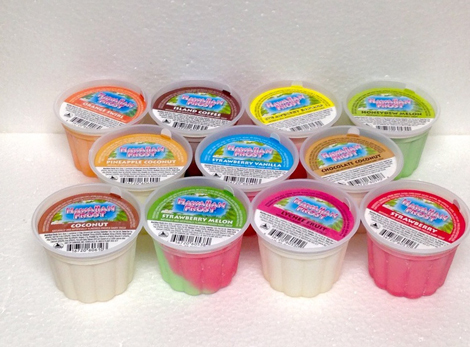 If you’re really lucky, you’ll find yourself in a neighborhood with a house giving out these slushie-meets-sherbert-ice-cream creations, usually straight out of someone’s cooler. 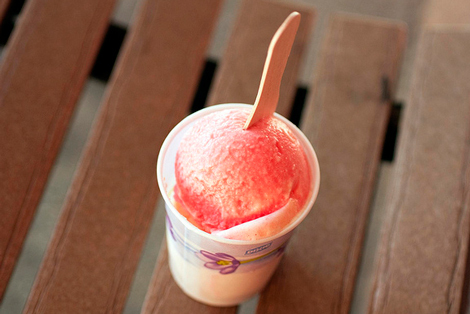 The recipe to this Japanese family concoction originated in Maui at Tasaka Guri-Guri, a family-owned frozen dessert shop that opened in the early 1900s. The most important step to this one? 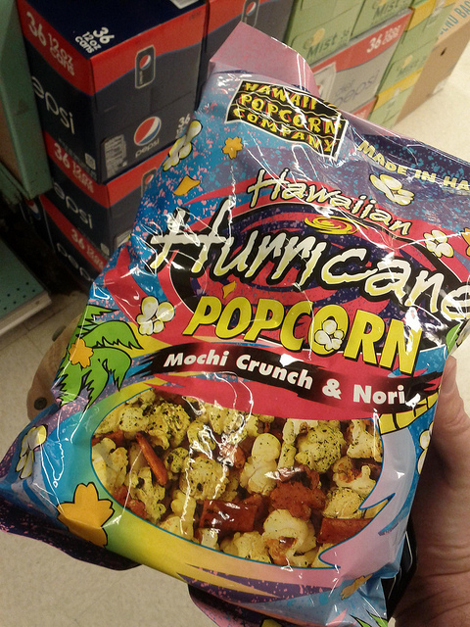 Make sure the kernels aren’t piping hot before throwing it in that plastic bag! Not easy, but patience is a virtue. Not nearly as local or regional as the rest on this list, but these seem considerably more popular in Hawaii than anywhere else! Rationing each dip and bite to make sure you have enough frosting for the crackers is the biggest challenge.